Manchester Cityhave thrashed Schalke 7-0. 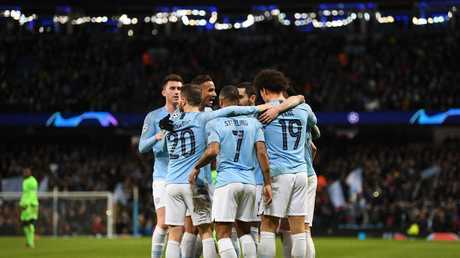 Manchester City tied the record for the biggest win in the last 16 of the Champions League by thrashing Schalke 7-0 on Tuesday, completing a 10-2 aggregate victory to reach the quarterfinals for the third time in four seasons. 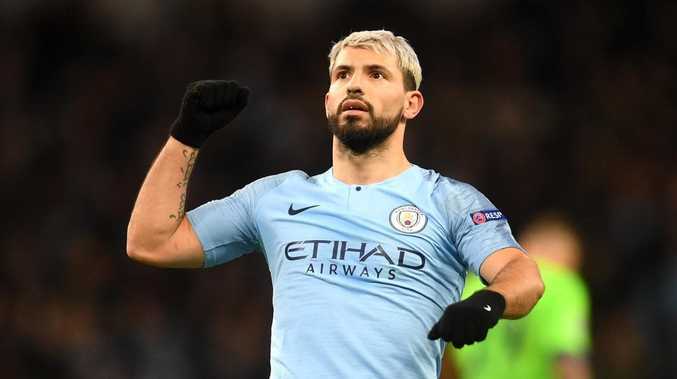 This season's round of 16 has featured some memorable comebacks so far - notably by Ajax and Manchester United - but Schalke's chances of overturning a 3-2 first-leg deficit virtually disappeared when Sergio Aguero chipped home a 35th- minute penalty to make it 1-0 in the second leg. Leroy Sane cane backj to ahunt his former club. Sergio Aguero, Raheem Sterling, Bernardo Silva, Phil Foden and Gabriel Jesus also got on the scoresheet. 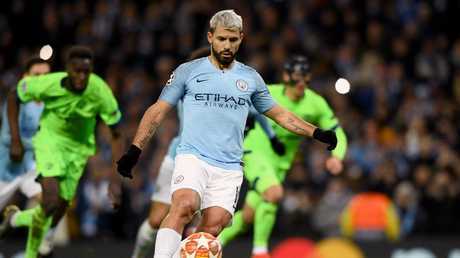 Aguero doubled the lead three minutes later, Leroy Sane rolled in another goal before halftime, before Raheem Sterling, Bernardo Silva, Phil Foden and Gabriel Jesus added second-half goals for City against the demoralized visitors from Germany. It equaled the 7-0 wins recorded by Bayern Munich against Basel (2012) and Shakhtar Donetsk (2015). The latter was achieved when City manager Pep Guardiola was coach at Bayern. With two months left of the season, a quadruple of trophies remains on for City, which has already won the English League Cup, is top of the Premier League, and plays second-tier Swansea in the FA Cup quarterfinals on Saturday. Winning the Champions League for the first time will be the toughest task but City's chances have improved with Paris Saint-Germain and titleholder Real Madrid getting eliminated at the last-16 stage. City joined United, Tottenham, Porto and Ajax in the quarter-finals and also Juventus, which beat Atletico 3-0 on Tuesday thanks to a hat trick from Cristiano Ronaldo.